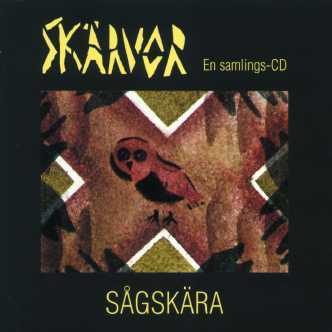 "Skärvor" is a collection of recordings of Sågskära made from 1984 to 1991. You can read more about the group Sågskära under DROCD 002. This recording contains mostly songs, but also a number of instrumental tunes. The musicians on this CD are: Magnus Gustafsson: fiddle, hurdy-gurdy, vocals, percussion. Erik Hector hummel, vocals. Per Olof Jakobsson: fiddle, mandolin, vocals, percussion. Gunilla Lundh-Tobiasson: vocals, accordion, recorders. Toste Länne: fiddle, vocals. Marie Länne-Persson: vocals, harp, guitar, crumhorn, percussion, various pipes and whistles. Torbjörn Nyqvist: guitar, fiddle, vocals.